Beautiful 1 Story Single Family Home!! COMPLETE REMODEL! HUGE LOT Big enough for a POOL! 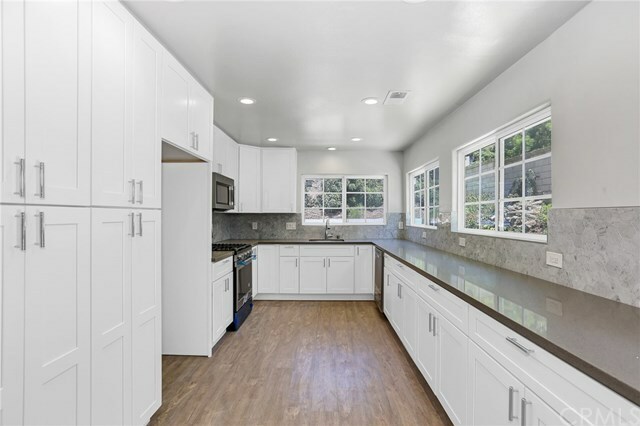 Beautiful wood flooring throughout, all new windows and doors, custom kitchen with Quartz counter tops and brand new stainless steel appliances, both bathrooms have beautiful custom tile work with porcelain tile in the master bath. Vaulted ceilings in the living room with exposed wood beams, Located in one of Mission Viejo's most favorite neighborhoods! Single Level 3 Bedroom, 2 Bathroom, light and bright! This property is situated on a large lot with landscaped hill in back yard for privacy. The wrap - around yard gives you enough space for big parties or toy / playing areas for your young children. Great Neighborhood and Excellent Schools are a big plus. LOW PROPERTY TAXES! Ideally located near recreation, sports fields, restaurants and shopping, Lake Mission Viejo Membership for only $19/month with beaches, swimming, boating, fishing, recreation and more. Welcome home!